Vauxhall's new Agila will go on sale next April in the UK with a starting price of £7,595. The Agila city car comes with five doors as standard and enters the range below the larger Corsa. The petrol engines range from a 1.0-litre, 64bhp three-cylinder unit or a 1.2-litre, 84bhp which will come with an automatic transmission as an option. Only one diesel engine will be offered in the form of the 1.3-litre CDTi 74bhp unit. There's plenty of reason to buy the Agila, including annual road tax of only £35 and 120g/km C02 on the entry level models, cute looks and luggage space to equal the Corsa. The larger Corsa has a very broad target market, whereas the Agila is specifically aimed at city-dwellers who rarely venture past the local shops. That's not the only homegrown competition the Agila faces. 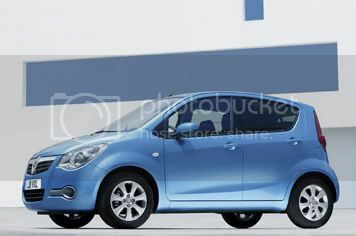 The Suzuki Splash city car arrives just before the Agila at a lower price for exactly the same car. Suzuki hasn't announced prices for the Splash and Vauxhall won't release any more detailed pricing quite yet, so we'll have to wait until next year to find out just how close the competition really is.